One of the best things about New York is the bagels that are on sale at most street vendors that are scattered around on most corners within the city. 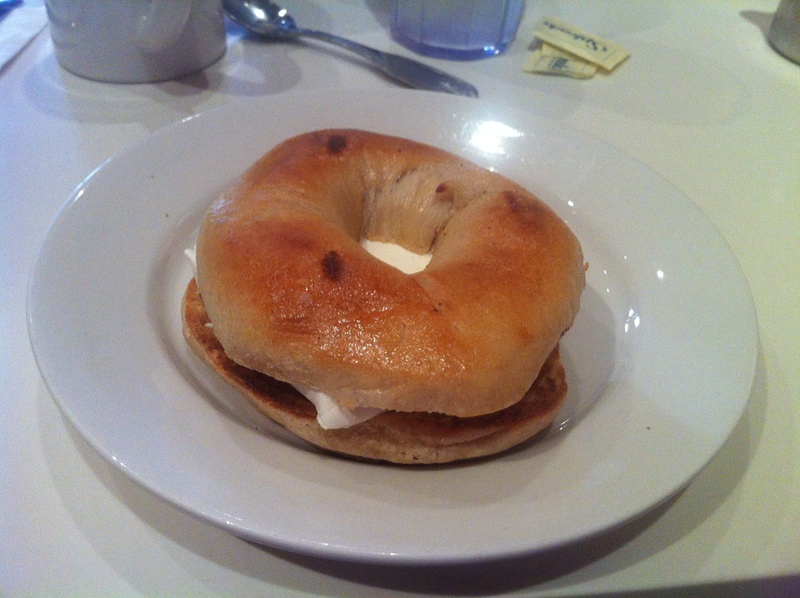 Prior to visiting last summer, I had never ate a bagel…..ever. On my third day there I visited a typical New York diner and ordered yourself a bagel with cream cheese and grape flavoured jam. Wow, I had died and gone to bagel heaven. Anybody visiting NYC has to experience the New York bagel, and I guarantee that you’ll never east anything that comes to close to it once you leave the city. The Tesco “New York Bagels” failed in comparison. Spending five days sightseeing each day with a 6:00am start and finishing some fifteen hours later meant that I was not prepared for the blisters that surfaced after the first day. I cannot stress the importance to anybody reading this who will be visiting NYC for the first time to make sure that you invest in some decent footwear. I ended up with my feet in bits, and purchasing expensive trainers at the Nike shop not minding how much I paid to feel like I was walking on air, instead of hard concrete. 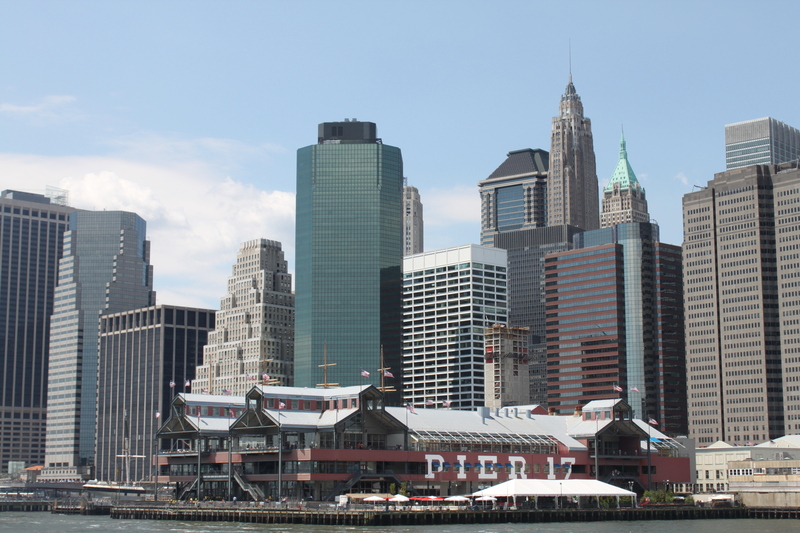 One thing you can guarantee when visiting the Big Apple is that you will walk……a lot. Look after your feet and bring comfortable trainers with you, or be prepared to buy some when you are there like I did. The price of them wasn’t too bad and the staff at the Nike shop were ever so friendly, and very knowledgable about their products. 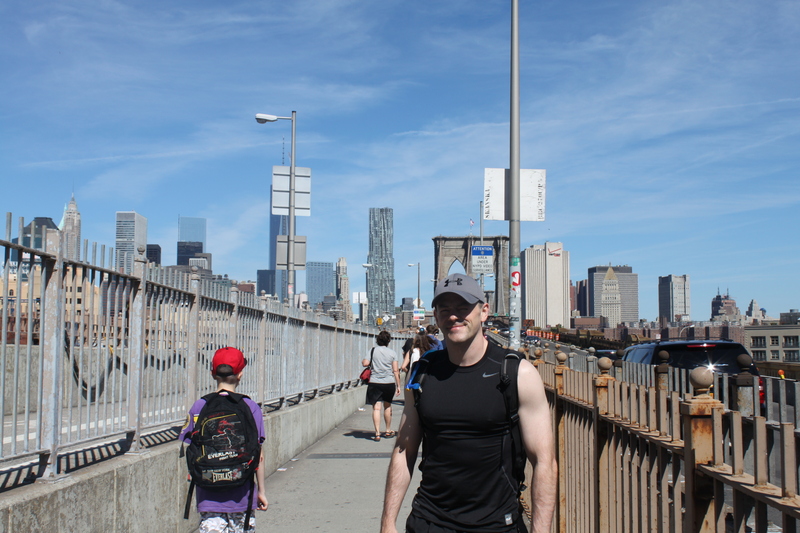 Finally, a must do when visiting the city that never sleeps is to walk across the Brooklyn Bridge. 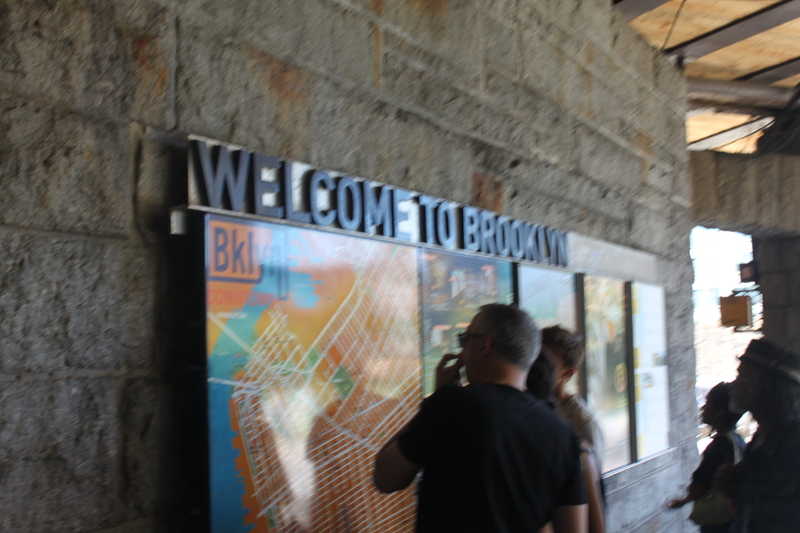 We got the subway into Brooklyn and therefore walked across it from Brooklyn into Manhattan. I was advised by a friend who had lived in NYC that this was the best way to view the city. Boy was she right! 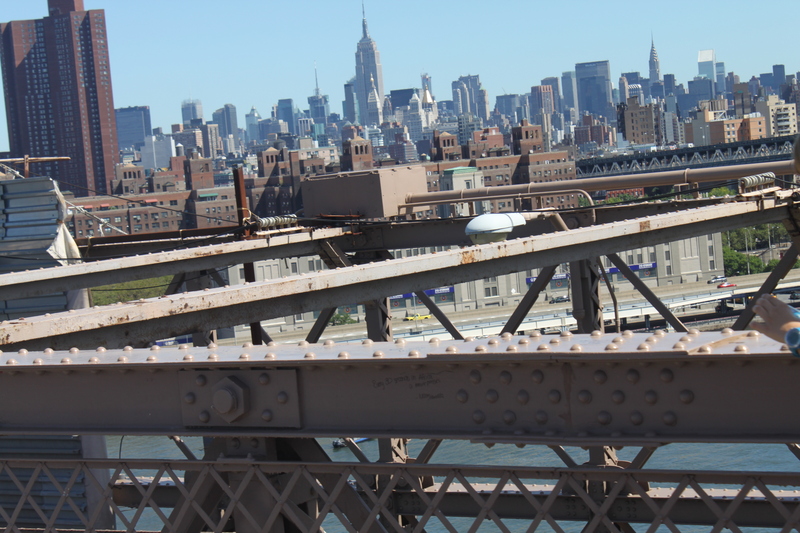 The Bridge connects two great New York City boroughs: Manhattan and Brooklyn. Whether you walk it, bike it, drive across it or like me just admire it at a very slow pace. 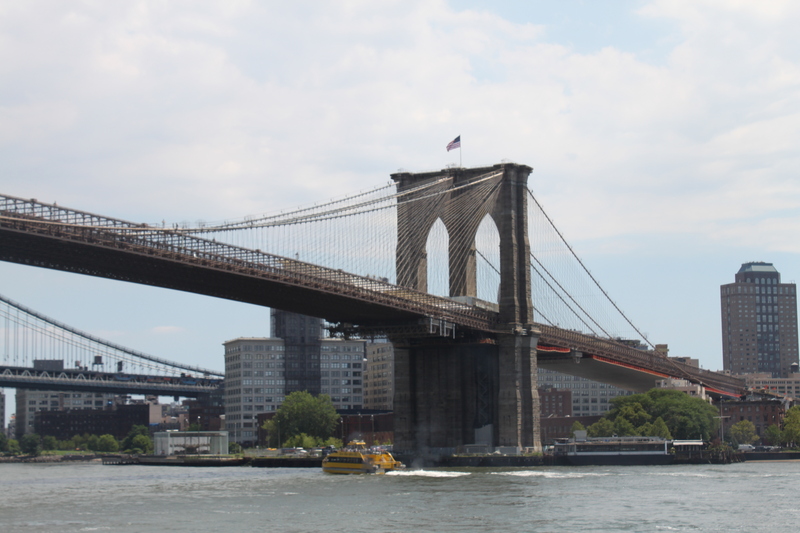 One things for sure, the Brooklyn Bridge soaring over the East River is one of New York City’s most famous routes, both for tourists and New Yorkers. 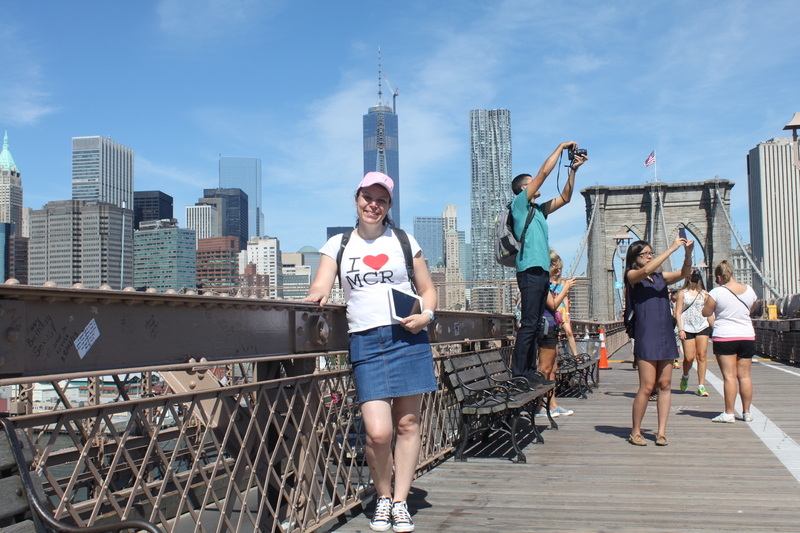 This entry was posted in Blog, USA and tagged Bagels, blogging, Brooklyn Bridge, New York, New York City, NYC. Hi! You think NY bagels are good? Just wait until you try the ones from Montreal!! I remember my first bagel. I hadn’t had anything like it! In high school a friend was amazed I had never had a bagel. He took me to a Montreal style bagel baker ~ it was wonderful!